Prof. Prinz studied law and obtained his Dr jur. at Hamburg University, and his LL.M. at Harvard Law School. He then passed the bar exam in New York and was admitted as an attorney in New York in 1984 and in Hamburg in 1985. He has strongly influenced modern press and media law, conducting numerous landmark cases in the Federal Court of Justice, the Federal Constitutional Court and the European Court of Human Rights. In addition, he commented in more than 50 publications for journalists and legal professionals dealing with questions of media law. 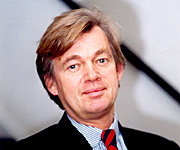 He is co-author of the standard work “Medienrecht – Die zivilrechtlichen Ansprüche” (“Media law – private law claims”). Since 1997, he has been increasingly involved in teaching, giving lectures and presentations at various universities. He has been an honorary professor at the FU Berlin since 2006 and, in 2006, was co-founder of the Berlin Media Professional School. Prof. Dr Matthias Prinz has been a member of the SB since 2016.